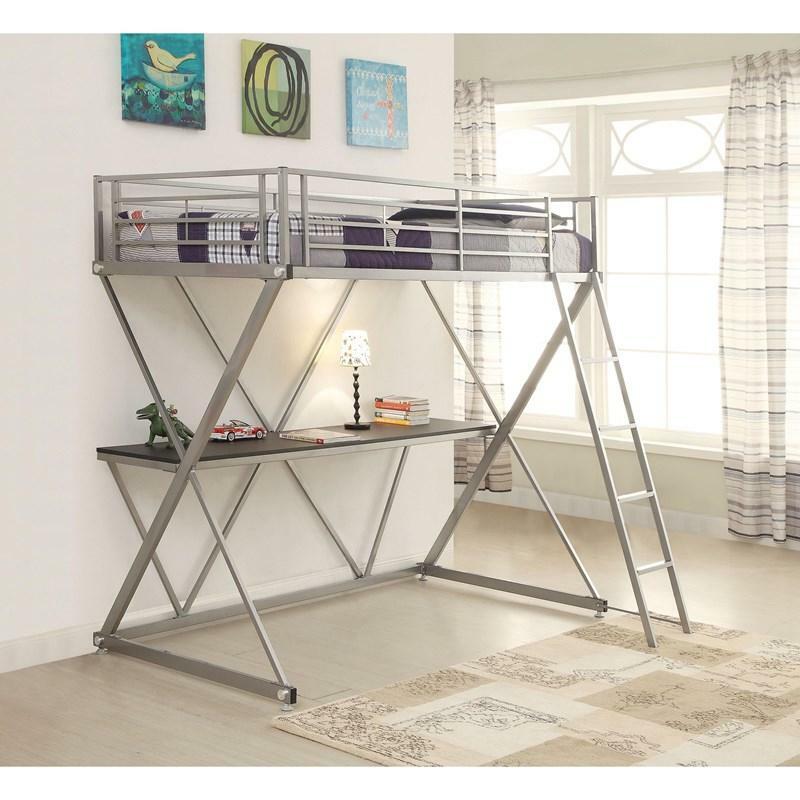 A versatile design that will add a practical sense to your bedroom. 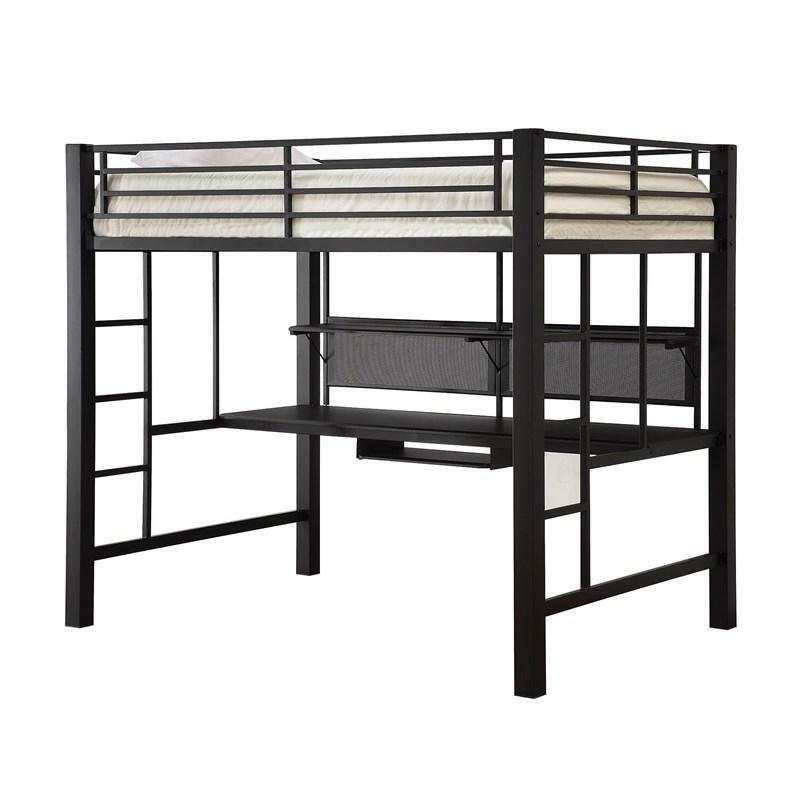 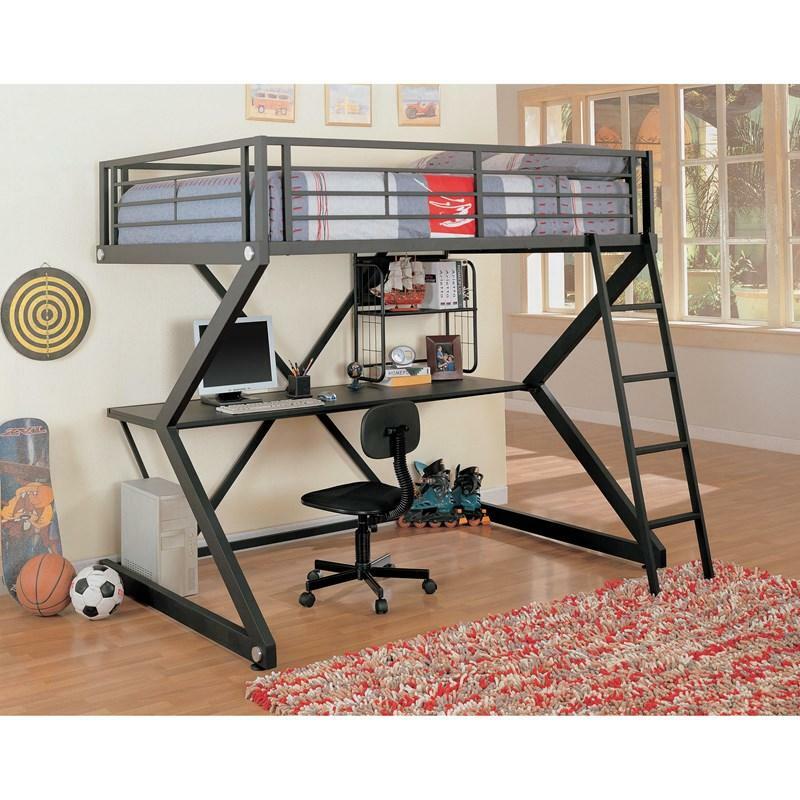 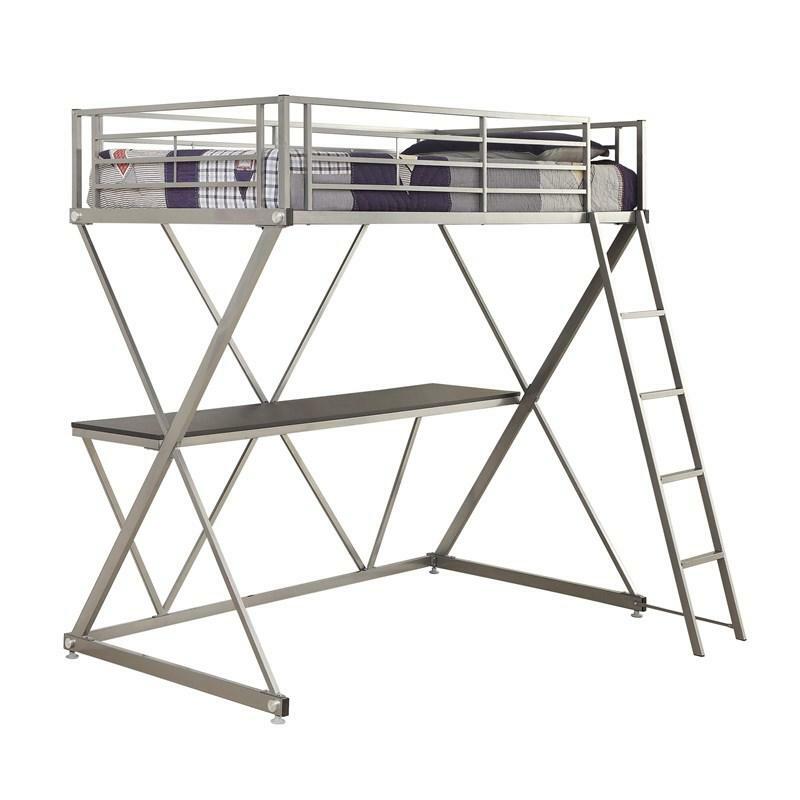 The Hyde Workstation Loft Bunk Bed by Coaster Furniture features a steel structure with an X-shape at the sides, a built-in ladder, and a wood desk finished in black color. 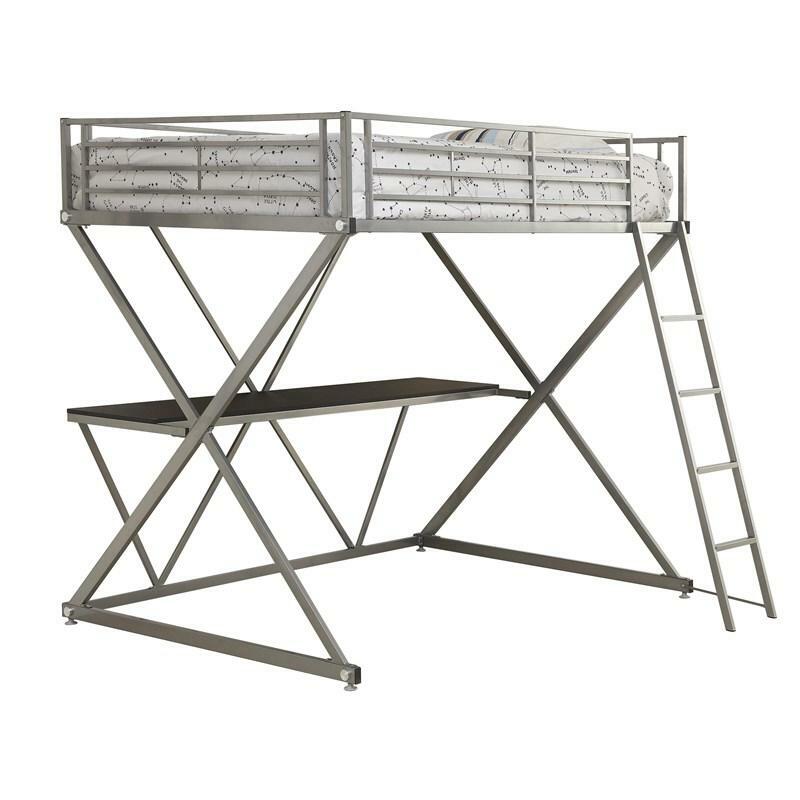 This wonderful piece comes in a silver finish that will match any decor.